We gave it our best shot, but after some deep soul-searching, we’ve come to a difficult decision: We’re breaking up with Tidal. Between the constantly rotating door of executives, multiple flopped record releases, and a steady onslaught of lawsuits surrounding the company, the streaming music service is a complete mess. Over the past few months, we’ve been writing about Tidal as though it’s an industry contender, but if Tidal is anything it’s a force in pop culture, not the streaming game — a soap opera we tire of tuning into. And we don’t want to watch anymore. Let’s be frank: The reason Tidal makes headlines is because Jay-Z and a few other high profile artists own shares. Let’s be frank: The reason Tidal makes headlines is because Jay-Z and a few other high profile artists own shares. That’s not a good reason to write about a company that hasn’t been, and will probably never be, a real contender for streaming supremacy. Tidal headlines clog up the presses and bring undue attention to where music streaming is failing rather than where it succeeds. It’s a distraction from relevant services like Rhapsody — which still has three times the number of paid subscribers as Tidal — and SoundCloud and Bandcamp. 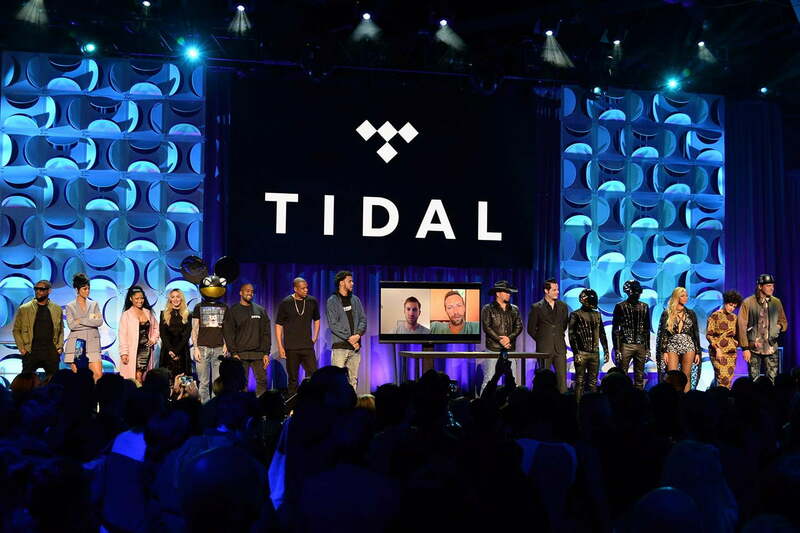 We take no joy in saying this, but it’s time we recognize Tidal is likely doomed. Here’s how things got to this point. As professional reviewers of music and audio equipment at a tech-centered media company, the editorial staff at Digital Trends was probably more excited for Tidal’s U.S. launch than most. The service had forged partnerships with Hi-Fi companies like Sonos, Denon, and Harman/Kardon, and promised that it would become an essential — if slightly higher-end — part of the streaming music world. In addition to better quality music, executives and its initial 18 musician-owners looked poised to deliver exciting exclusive content, with better pay and margins for artists — all of which appealed to enthusiastic music industry supporters like us. Those hopes and expectations haven’t been met, though. Sure, Tidal’s premium audio tier sounds better than its competition, but, as the LA Times notes, Tidal isn’t the poster child for artists’ rights it set out to be. In fact, many industry members would say that Tidal is actually fueling piracy. That’s because the argument Jay Z and his fellow stars made at the Tidal launch (including Nicki Minaj, Madonna, and Beyoncé) was fashioned from self-interest. They said that they, as big-name artists, deserve to set the price for their music. But the reality is that already established musicians setting a higher price point for their own music probably doesn’t help struggling artists. Ironically, Tidal isn’t even the best streaming destination for the music of the 16 original artists who got three percent stakes in the company for endorsing it. Tidal claims to be paying the vast majority of its revenue — and five times the amount per play as Spotify — back to artists and labels in the form of royalties. That sounds generous and progressive, until one realizes that larger music services don’t pay more because they simply can’t afford to. Services like Apple Music, Rhapsody, SoundCloud, and Spotify all lose massive amounts of money each year. So how can Tidal stay afloat given they pay so much more for music and have a significantly lower subscriber count? The numbers, at least from a distance, don’t appear to add up. Tidal accidentally charged users for subscriptions they had previously cancelled, which ruffled a lot of feathers. But that’s just the tip of the iceberg when it comes to the company’s tech troubles. During the live stream of Kanye West’s The Life of Pablo, many users experienced serious streaming issues. Then, a few days later, those same people were mistakenly allowed to purchase the album for a brief period before it was pulled from the service. And — more on this later — that wasn’t the first time new material was accidentally posted early on the service. Tidal’s own artists are jumping ship in search of higher streaming and sales numbers at rival services, even when they’ve sworn they wouldn’t. Making that promise was a bad call, but diversifying is essential. The reality of the low-margin streaming music business is: more plays = more money, regardless of where those plays come from. Tidal can’t change that. The service may pay higher rates per stream than competitors, but its competition has exponentially more users, forcing most artists to embrace other services like Apple Music and Spotify, even if they pay less. Such high turnover is an extremely bad sign for the health of any company. For example, based on music streaming royalty reports, it takes 81,000 streams per month to make Federal minimum wage via Tidal, whereas it takes 242,000 Spotify plays to reach the same goal. Spotify requires more streams, certainly, but since it has over 10 times the number of paying users, musicians will likely make their nut much faster with Spotfiy than Tidal. And that’s just one alternate streaming service. Apple music only serves to increase the odds that a musician will bank significant revenue. Tidal exclusives are a bad idea for any musician, large or small. Yet the company keeps pressing for them, resulting in an unintended yet very real consequence: piracy.